Thanks to David Guerra for sharing this article with us, in response to request which we have put up on March 15, 2014. 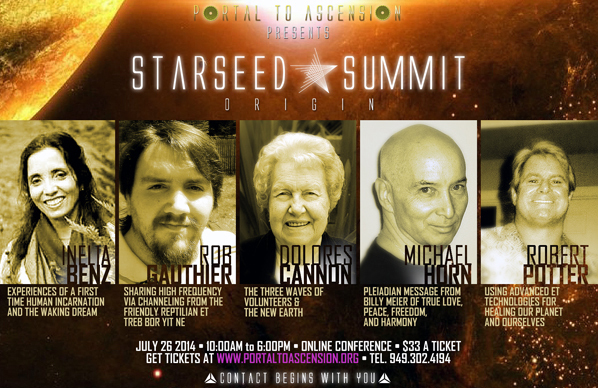 Michael Horn will present information, and answer questions and challenges, about, the Billy Meier UFO case on Saturday, July 26, beginning at 10:30 AM, Pacific time. Michael Horn's film 'And Did They Listen' is going to screen at Bolgatty International Film Festival in India, September 11-15, 2014. On its General Meeting of July 6, 2014, the Core Group of 49 has decided to publish the measures of our Peace-meditation pyramids, in order to enable that each interested person may produce (or let produce) his or her own pyramid. 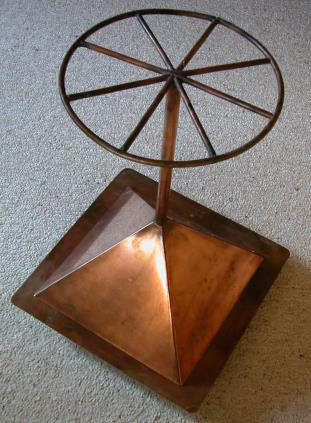 FIGU’s meditation pyramids are based on instructions by the Plejaren, and they serve to connect with the Center Pyramid all those human beings worldwide, who take part in our Peace Meditation. The pyramids are serving as amplifiers of the meditators‘ thought waves. However, the requested effect is limited to the Peace Meditation only. Important: All measures must be precisely observed in order to get the requested effect. Only copper may be used! For measurements of travel, table & group pyramids, download this pdf. The following is FIGU Core Group member Christian Frehner's response to a person who made him aware about the Meier's letter to his daughter Gilgamesha in 1967 being published in a book written by Maurice Osborn. Basically FIGU will not respond to the unintelligent scribblings by Maurice Osborn, because he obviously is not receptive to sensible, decent and logical thinking. With respect to the aforementioned letter can be said: Apparently, the publication of the letter is intended to show that Billy is a "failed prophet" because he admits in his own words, he has beaten his wife. The fact that this very private and personally dedicated letter is published at all (or at least in this way) is in itself a shameful act and a clear indication that the people involved are not fond of the truth, but pursue wicked goals. Yet they are not capable of recognizing that their reprehensible, malicious and bungling etc. actions will not lead to the desired goal, but contrary to that will sooner or later return to them like a boomerang. The letter was written by Billy at a time in his life, when he was so fed up with the whole situation, that he saw no other way out than to separate himself from his wife and especially his daughter to find his peace again. 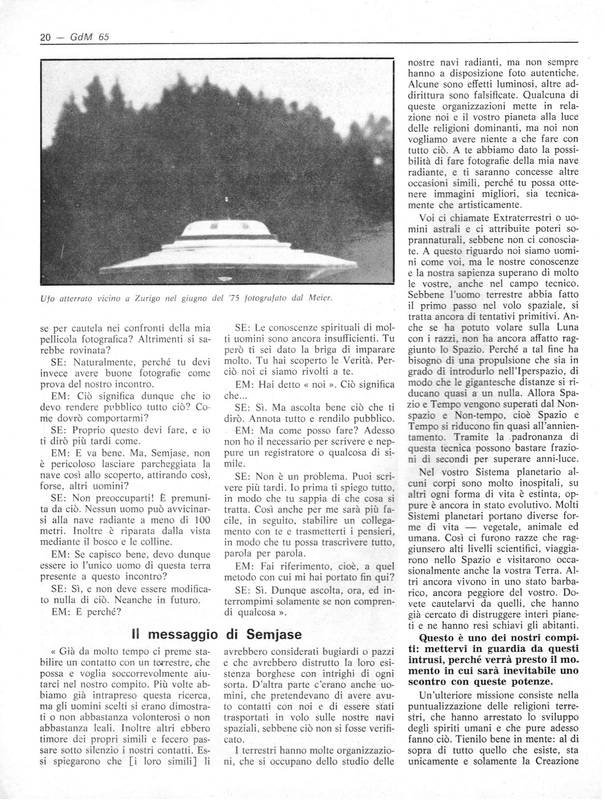 The daily attacks and accusations etc. on the part of his wife and her uncle, and especially the fact that he had to ward off their constant attacks with knives, forks and even logs, in order to protect his own life, got so much on his nerves, that he decided to leave and handed the letter over to his wife with the instruction to hand it over to Gilgamesha upon reaching her majority. 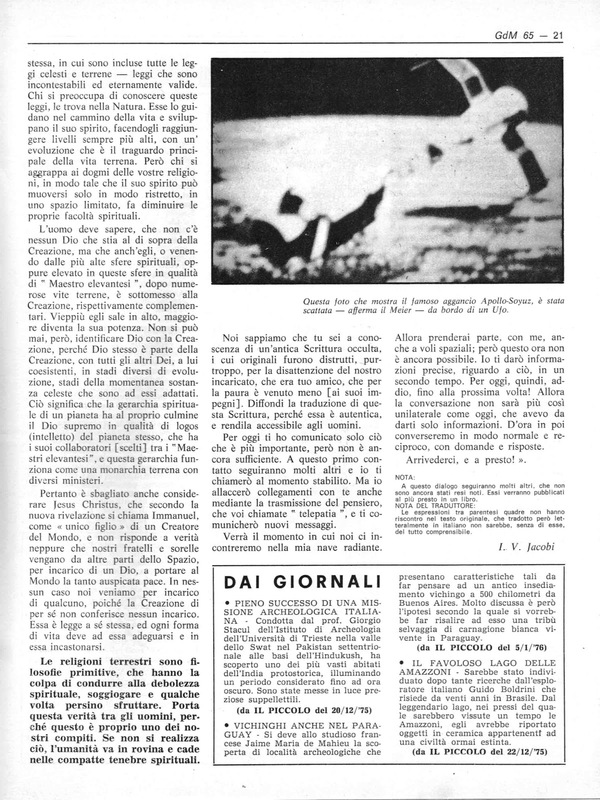 However, Billy then considered his obligation to his wife and child (and the predestination), and he reversed his decision, after which he was able to return to Swiss with his wife and daughter. The information for Gilgamesha that he had beaten her mother was based on the fact that he had to actively fight for his own life, which corresponded to an act in self-defence. Incidentally similar things also happened in Hinterschmidrüti when Billy was repeatedly lethally attacked with objects by his wife and he could only save himself at the last moment thanks to his extraordinary reflexes and impulses. Two examples: once Billy had a sudden urge to rise his right hand over his shoulder to the back, after which the axe, which was about to be landed on his head from behind by his dear wife, fell to the ground, thereby breaking her arm. A second incident was when she threw a frozen chicken against his head from the stairs, which would have shattered his skull, would it have hit him. These and other similar instances were observed by witnesses. Regarding to the letter itself is to be said, that Billy on purpose choose the word God instead of Creation, because he had to assume that Gilgamesha, when she would grow up in this fanatic-orthodox environment, would not have been confronted with the word “Creational Universal Consciousness”, but would have been indoctrinated with the religious term God. 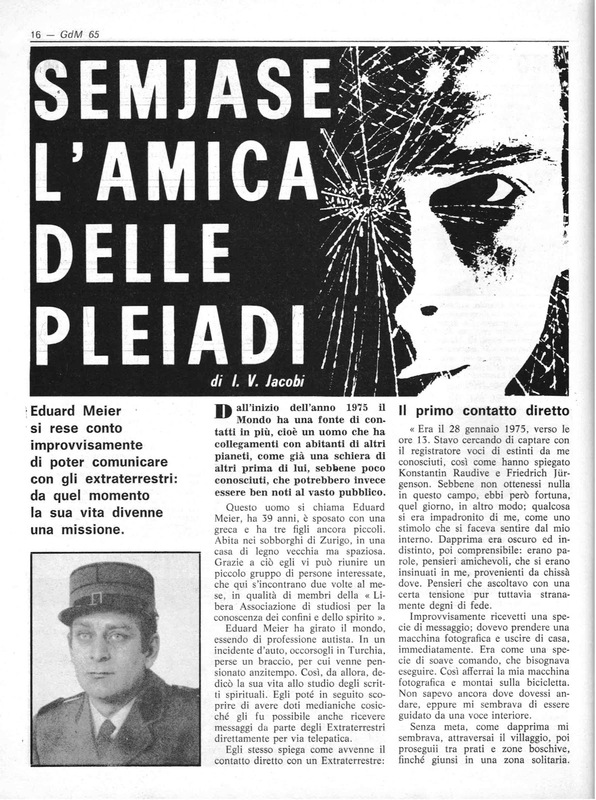 Read this FIGU Special Bulletin 65(Jan 2012) where Meier ponders suing his son Methusalem for his 'An Open letter to the FIGU' which was first published here in October 2011 & later on Methusalem's blog in December 2011, where he made many accusations on Meier & FIGU members. Also read the response by FIGU Core Group member Patric Chenaux to Methusalem's open letter, who says that it was agreed by Billy & also by all Core Group members of FIGU. According to Methusalem, Meier did try to sue him through another person but failed because Methusalem has submitted this 1967 letter(written by Meier to his daughter Gilgamesha) to the state attorney as evidence, who then ruled in favour of Methusalem. 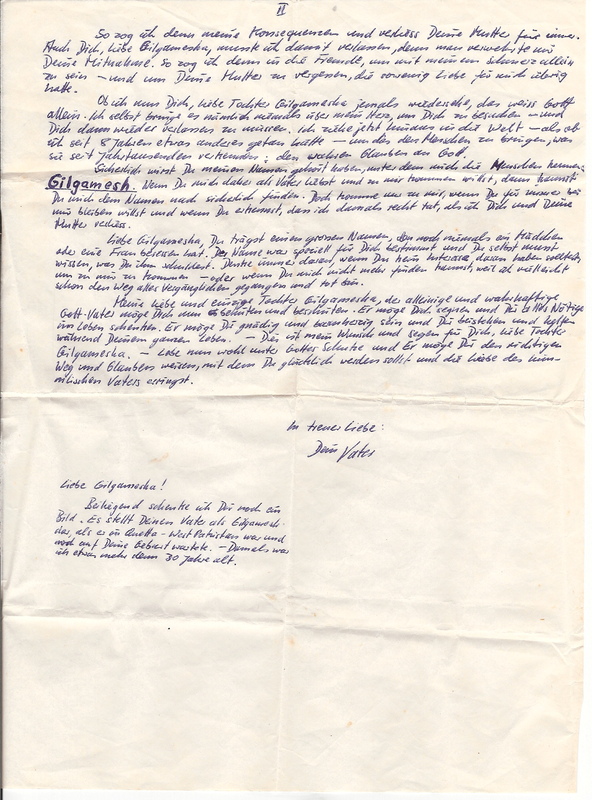 For more information regarding this letter, search for the keywords - letter, stateatturny, stateattorny & 1967 - in Methusalem's blog. 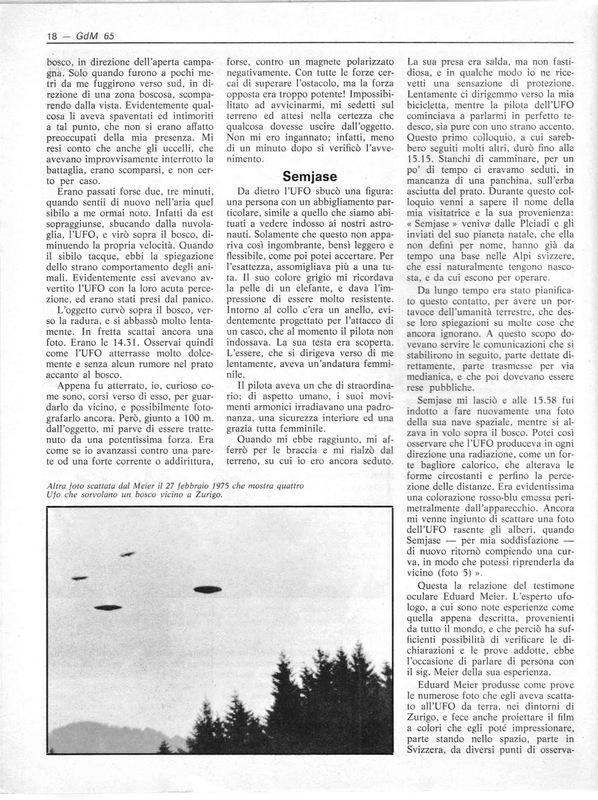 "This free E-book has been written in order to shed light on a case of extraterrestrial contacts with a citizen of Switzerland by the name of Eduard Albert Meier, also known as Billy Meier. 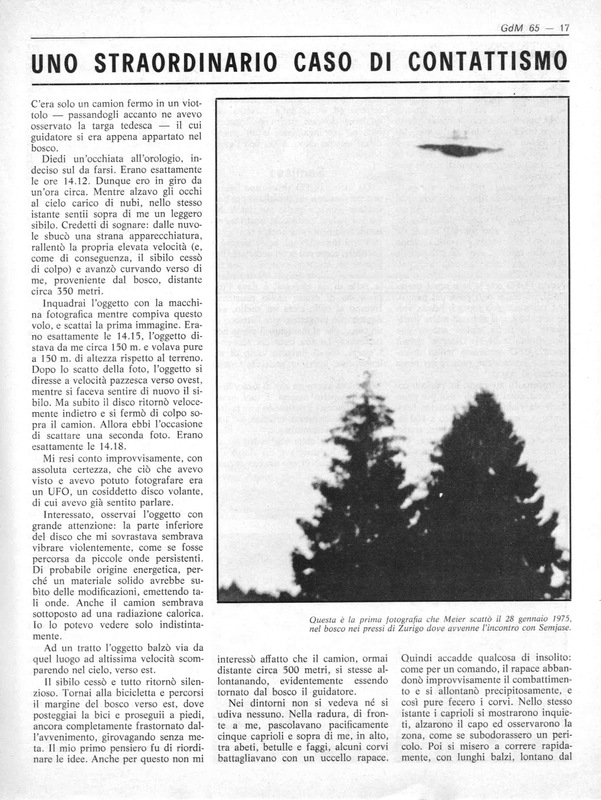 This involves the most significant and longest lasting UFO case in history. The sheer volume and quality of the evidence presented in this case is staggering, not to mention what the ramifications of this case may mean to humanity. 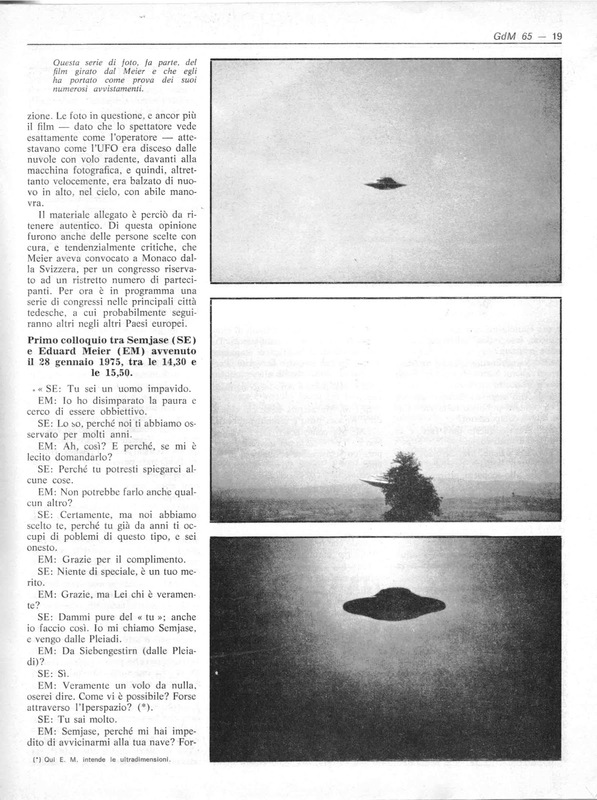 What this case involves are hundreds of contacts that Billy Meier claims to have had with intelligent extraterrestrial beings from the Pleiades star cluster in the Taurus Constellation approximately 500 light years from Earth. It also includes what other people have written about these contacts and how they interrelate. 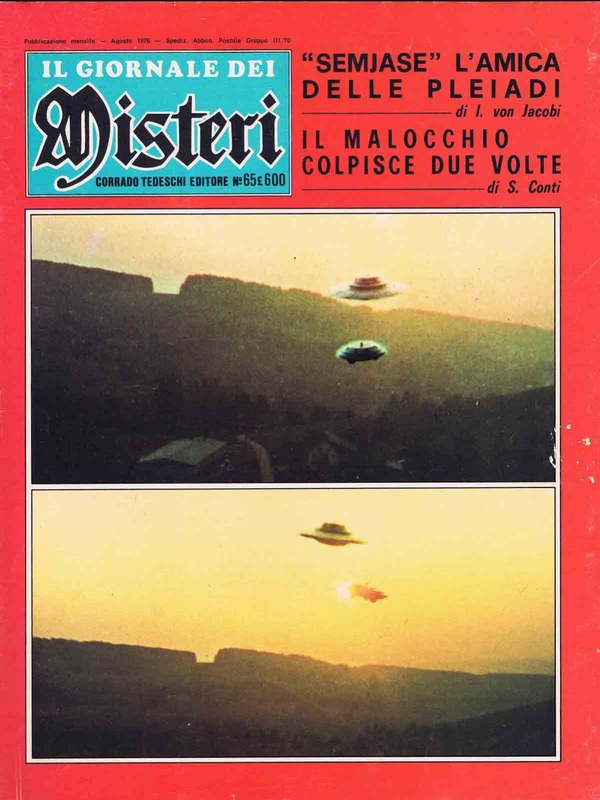 A large amount of information has been presented that casts doubt, as well as reinforces, the credibility of this case. 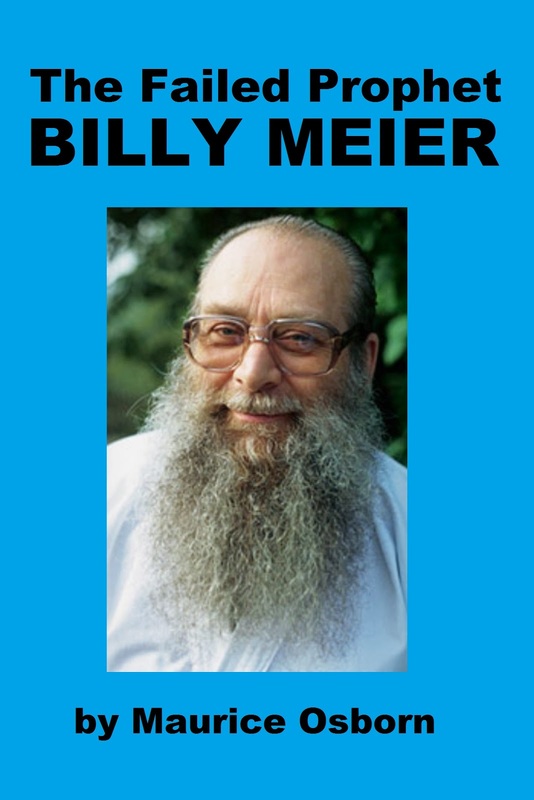 The purpose behind this E-book is to help humanity to understand what they should accept and reject regarding all of Meier’s information." 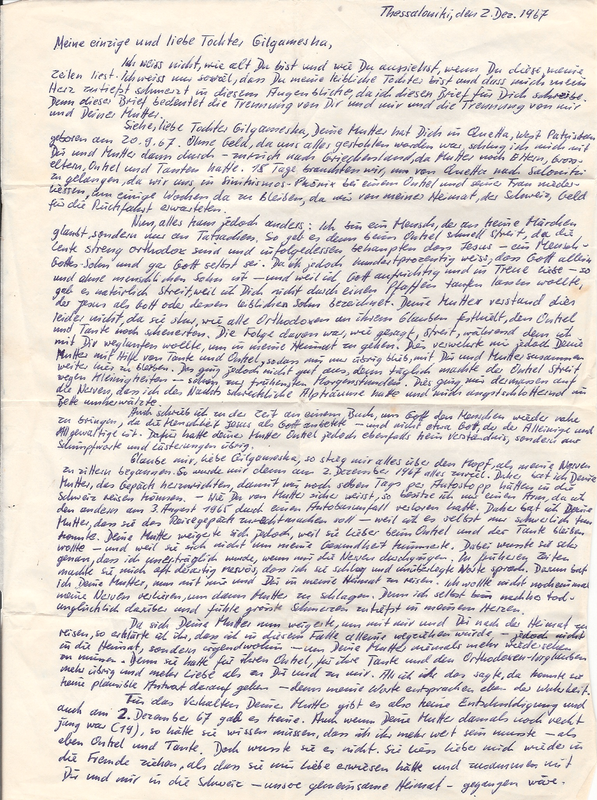 "..a hand-written letter by Billy Meier that was addressed to his daughter, Gilgamesha on December 2nd 1967, where he admits to beating and abusing his wife." 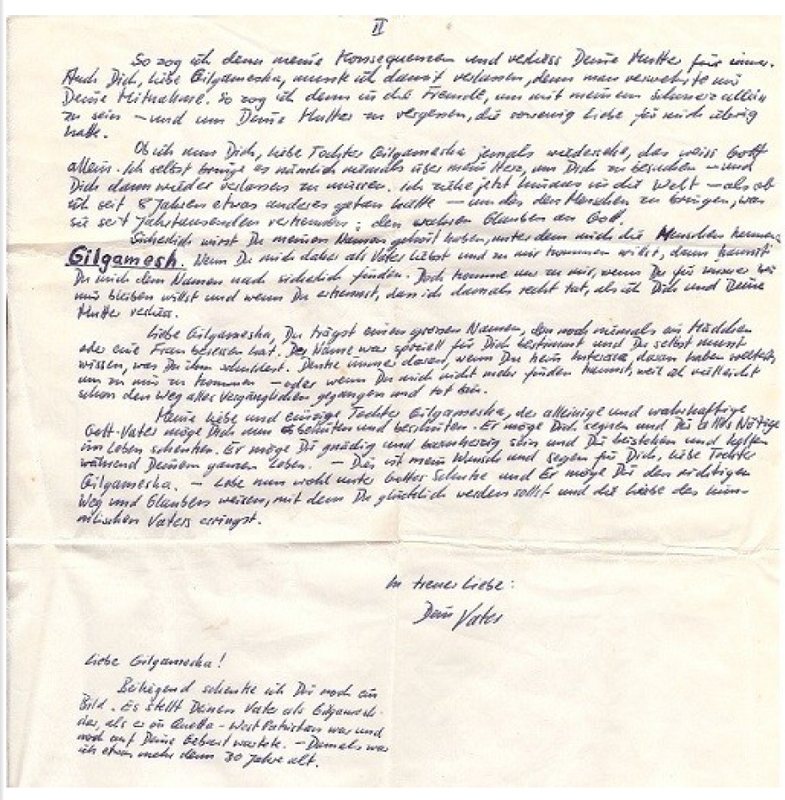 We would be grateful if anyone of you could provide English translation for the above German letter.